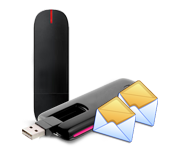 Bulk SMS Software-Multi USB Modem provides convenient way to communicate with your family, relatives, customers, clients, business partners, etc without internet connectivity. 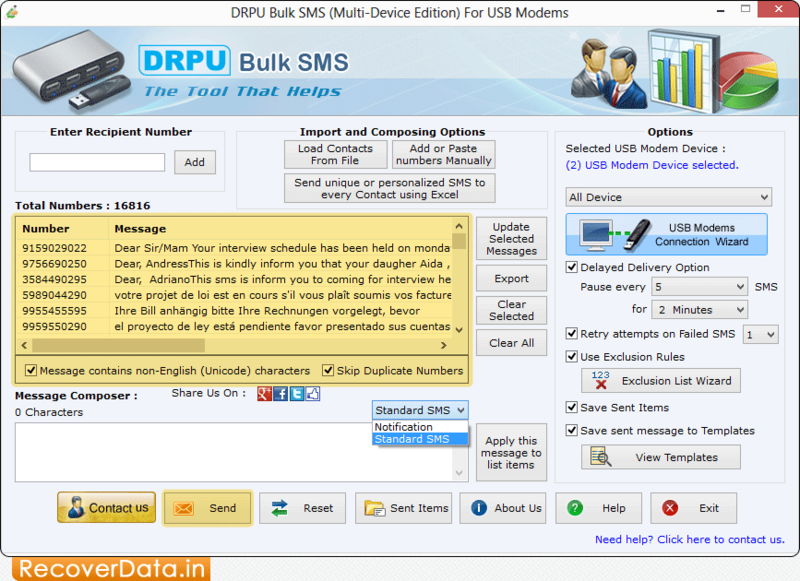 Bulk SMS program sends thousands of text messages from PC to any global mobile network using USB modem. You can connect multiple number of USB modem with computer to send bulk messages in Unicode or Non-English characters. SMS Gateway application provides inbuilt list Wizard option to maintain the list of contact numbers for message sending process. Software allows users to save sent SMS to templates for future reference. Bulk SMS Software send standard messages or notification. Does not require internet connection to send multiple text messages over worldwide locations. Software provides facility to save sent messages to template. Program offers advanced delayed delivery option to control the load of SMS broadcasting. Text Messaging Software supports Unicode characters to send SMS in different languages. Advance list Wizard option to maintain the list of contacts for messages sending process.